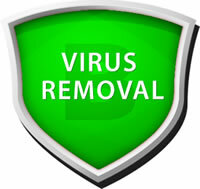 Virus removal services, ashmore park, wednesfield, wolverhampton aims to help and assist local Wolverhampton businesses and Wolverhampton homeowners alike in resolving any virus, adware, spyware, trojan horse or virus infection issues you may have. 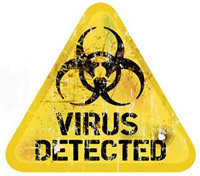 Remove spyware and viruses from your infected computer. Wolverhampton and West Midlands Spyware and virus removal services available. Ashmore Park I.T. based in Wolverhampton have researched development tools to automatically conduct what would often amount to extensive and tedious manual removal tasks. If your system has become infected, the tools and advice we use can repair the damage but if not then a complete data backup and wiping of your system is required. Ashmore Park I.T. offers a Wolverhampton Spyware & Virus Removal service via remote administration. Sit back and watch while we expertly take control of your PC or Laptop and scan and clear your PC of spyware and viruses. Costs involved depend on time taken to solve the infections, starting from £20 upwards. Dangerous Rootkit viruses sometimes require a fresh installation of your Windows operating system to completely cure the problem and sometimes your data may be infected too, so always backup your data regularly.